THE DAY HAS COME! NaNoWriMo has begun and I’m off to a satisfying start. I was nervous my novel writing skills would be too rusty to do as well as I hoped, but today is proving to me that I’ve still got it – I just have to dust it off. I think this novel idea has been ripening in my head long enough that the ambiance is set, and for me, that’s the biggest, most important part of writing anything. On to the big news: to kick off this adventure, I’ve uploaded my book cover, title, and synopsis to my author page! Check it out here, and add me as a buddy if you’re a fellow NaNoWriMo writer: http://nanowrimo.org/participants/christie-stratos/novels. If you’re not doing NaNoWriMo, here’s all the exciting book info! Some people are better left unborn. In the darkened hallways of a Victorian house, Abigail’s family wishes she had never entered their world. But was it her ominous birth, her already tired one-day-old face that spawned their mistreatment of her? Her intense but purposely subdued nature, her piercing, seemingly omnipotent eyes? Or was it her family’s automatic assumption of evil based on their Victorian superstitions that pushed her to become what she is? Either way, each and every one will rue the day the clocks stopped and she was born Abigail Delilah Whitestone. I’ll make sure to update you on my progress. If you’re taking part this month, good luck! 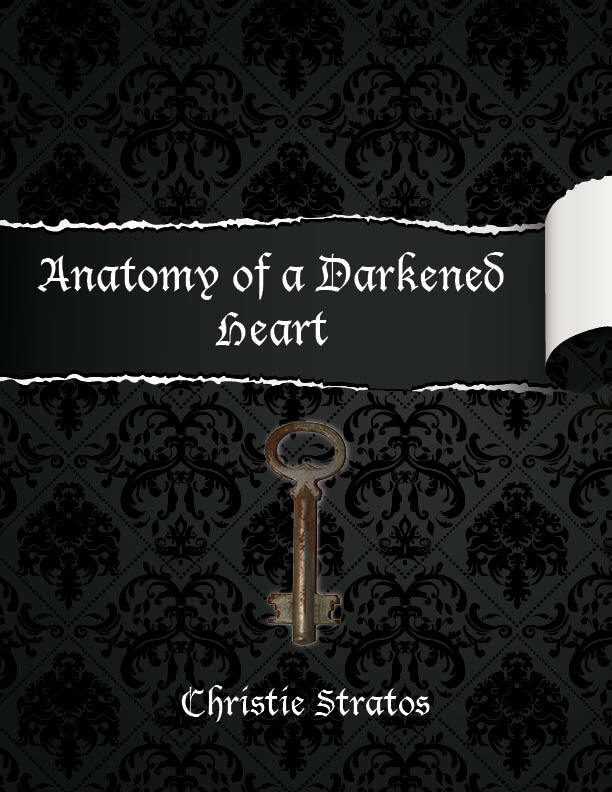 This entry was posted in Books, NaNoWriMo and tagged 19th century, anatomy of a darkened heart, author, authors, book, book cover, book title, books, buddy, Christie Stratos, nanowrimo, novel, novels, progress, reveal, synopsis, update, updates, victorian era, writer, writers, writing buddy. ← T Minus 1 Day to NaNoWriMo 2014! I love both the cover and the blurb which is gooseflesh-inducing!!! Congrats, Christie! Thank you, Daisy! I’m happy to be getting such good feedback so far. I’m going to enjoy all this writing time so much. Thanks for the encouragement!